I got to see this movie quite late when compared to other animation movies. I used to think that it was another random racing car movie. But once I watched it, there was a whole new gamut of insights which the movie had. Pixar had lived up to their reputation for producing a wonderful entertainer with a human touch. As always, my learning series will just provide the important lessons in the movie and provide the broader aspects. Before we start racing, some background detail of the movie, so to put things in perspective. 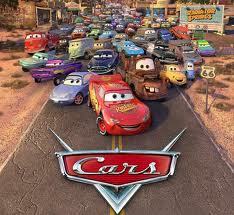 Cars takes place in a world populated by anthropomorphic motor vehicles. The film begins with the last race of the Piston Cup championship, which ends in a three-way tie between retiring veteran Strip Weathers aka The King, perennial runner-up Chick Hicks, and rookie Lightning McQueen. The tiebreaker race is scheduled for one week later. McQueen and Chick Hicks are in a race to take the King’s place in the Dinoco team, which is a highly lucrative, sought after team. So both of them want to win the Piston Cup, and the King wants to win his last race too. McQueen touted as the next star racer is ashamed of being sponsored by Rusteze as he thinks it hurts his super brand image. Lightning McQueen wants to reach Los Angeles soon so to meet the founder of the lucrative Dinoco team. He forces his big rig, Mack to travel all night along, though Mack wants to sleep. Mack starts nodding off while driving and due to mischief by a road gang, the sleeping McQueen rolls out of the back of the trailer unnoticed & he gets lost, and ends up in the run-down town of Radiator Springs. A mishap with the local sheriff causes McQueen to inadvertently tear up the town's main road. He is arrested, and is sentenced to repave the road as community service. The movie showcases his stay in Radiator Springs & ends with the final tie-breaker race which has an interesting climax. (Watch the movie to see it for yourself) Now onto the lessons. McQueen considers himself to be a class apart from other cars. When he lands up at Radiator Springs, he looks down condescendingly on the other cars. But gradually as he spends time with them he realizes that each of them has something to teach him, things he doesn’t know himself. He learns a new trick from Mater, the cable guy about reverse driving style. Luigi, the assistant to Guido, (the Tire shop owner) has always dreamt to be a part of the pit stop & change tires for a racing car. In the final race, Luigi changes the tires in a record time pit stop even though he is mocked initially by the other racing teams. McQueen who initially is a very self-obsessed individual gradually learns to think about others and to care for others and most importantly to respect others for their skills, however small it might be. Most often in life, we don’t realize the worth of what we have. We spend our life going after things which we perceive to be worthy. The movie stresses on the importance of having true, loyal friends. In the beginning of the movie, McQueen is a loner with no friends. He has his Sport agent who has no time for him but is only concerned about his performance. He even neglects his big rig and his pit crews as he doesn’t recognize their value. 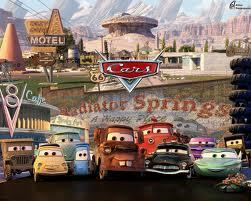 But his short stint at Radiator Springs makes him understand the importance of true friends. Everyone at Radiator Springs showcase interest in his well being and want him to win the Piston cup. He initially hates rusted cars but gradually he starts to appreciate people for what they are, rather than what they have. This is showcased in the end, when he is approached by Dinoco to be his team lead car when he politely rejects his offer and decides to remain with Rusteze, his old sponsors who had given him the first break. 3. It’s not always just money, honey! Another aspect the movie dwells upon is the fact that money is not everything. While his stay in Radiator Springs, he keeps on cribbing about reaching Los Angeles in time for the race. He wants to win the Piston cup race at any rate, so that he could get the sponsorship of Dinoco. One day, he learns that the Doc is actually the Fabulous Hudson Hornet, a three-time Piston Cup champion who was forced out of competition after a serious accident ended his career over 50 years ago. McQueen is amazed at the Doc winning 3 piston cup, but the Doc tells him that in the end, it is nothing than a cup. The doc points out people at Radiator Springs are good folks who care about one another. McQueen realizes how artificial his profession had been, which had neglected the Hudson Hornet after an accident and had written him off. McQueen’s realization is showcased in the final tie-breaker race which makes him win the hearts of everyone. I felt this is one of the most important learning in the movie. Sometimes in our life, we crib about things not happening according to our plan and curse our fate for it. The movie helps one adopt an optimistic attitude towards life and believe in the best. McQueen is initially disgruntled about getting lost in the Radiator Springs. But over the course of his stay, he learns many important things, finds his true self and also ends up becoming a person loved by one and all. Hence, no matter where you are now in life, it always pays to think that it is happening for a purpose. You never know what you might end up finding which can change your life forever! To sum it up, Iam sharing a soundtrack from the movie called “Find Yourself’ which tells about finding our self in the course of racing arena called ‘Life’. Yeah, that's when you find yourself"
Hope you liked the lessons. As always I suggest you to watch the movie, not only to have a fun time but also to reinforce the lessons. If any of you has watched the movie, it would be great if you can share any good aspect/insight which you had from the movie.